Pinterest Marketing for Restaurants: Are You Being Pinned? Are you being pinned? Pinterest, the newest online social media member has people in a frenzy over pinning. Companies that have something visual to share can leverage Pinterest as a marketing platform. The fashion industry has taken quickly to Pinterest and the restaurant industry is following. Essentially, Pinterest is a virtual, visual bulletin board where users can “pin” items of interest found online in one spot known as “boards.” A great meal at your location can now be “pinned” on a customer’s board allowing all their followers (friends) to see it. In reality they are advertising for you. These pinned items link back to the websites where they were collected, making them ideal referral tools. Unlike other social media networks, Pinterest relies on images rather than text. So the restaurant industry is a natural. While the network is still invite-only, and they seem to accept everyone after a day or two wait, Pinterest is the fastest website in history to reach 10 million monthly unique visitors. Pinterest’s customer base is mainly females between the age of 25 and 34 and the average user has at least some college education. Some sources site the average income of users is between 25k and 75k per year; but also estimate that almost a third of the users have annual household incomes of $100,000 or more. These people are busy and have the means to eat out. As with all social media, Pinterest works best when brands are active and engaged with their followers. To make the most of a Pinterest account, experts say brands should interact with their followers, not only by showing the latest menu items but also by engaging followers through shared interests, providing insight into the people behind the brand, and trading ideas with followers. To get the word out about the brand’s Pinterest account, restaurant operators can promote their Pinterest boards through their other social media outlets. Through Pinterest’s large user base and the way content spreads so quickly, you can tap into a new audience. Friends of customers will see their pins of your establishment and help you advertise for free. With the proper game plan and some consistency you can build your brand awareness. 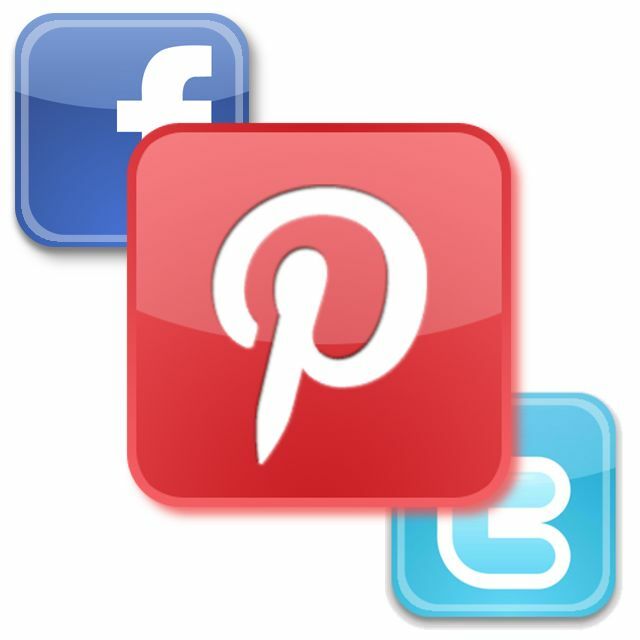 Look up customers that are in your SunDrop Mobile platform and follow them on Pinterest. Then they will also be following you. “There’s little doubt that Pinterest will be the next major platform for interactive marketing,” says Jenna Galardi, Interactive Marketing Director at Blue Interactive Agency, a South Florida based social media marketing agency. Since Pinterest’s format is visual Jenna advises clients to have plenty of quality photos on your page. Many of the same photos found on your Facebook page can be utilized here. Once you pin your quality photos do not forget to link the images back to your restaurant’s menu and website. Atmosphere is extremely important in the dining experience, share photos of your wonderful space that showcases your restaurant’s style. If you hold events at your restaurant share those photos. Pictures of fresh ingredients used in your dishes are always of interest as people love to see what is in their food. If there is an inspiration for a drink or food item on the menu, share it! It gives your restaurant a more personal touch and just may start a conversation that goes viral. Contests on Pinterest are another great promotional tool. Contests on Pinterest can range anywhere from adding a comment on a photo, to ‘repining’ a photo on a user’s own board, to submitting a photo. In return for this free advertising by customers, companies are giving special offers to loyal visitors by offering a free appetizer, buy-one-get-one-free promotions, and/or a certain percentages off their entire meal. If you are interested in marketing online, whether on Pinterest or Facebook, check out Pinnacle Hospitality System’s point of sale social integration with their SunDrop Mobile platform. Pinnacle’s Sundrop introduces merchants to their customers by helping merchants rapidly build large, opt-in customer databases at the point of sale and then enables merchants to market to these customers with targeted SMS text, email, voice, and social media communications while fully measuring the ROI of every campaign. Because Sundrop’s mobile loyalty solution is POS-integrated, the system can track a wide variety of statistics that are important to making sound marketing decisions. Sundrop’s Insights Dashboard distills this mountain of data into easy-to-understand, actionable charts.